2013 was a fascinating year for women in the movies. I’m especially encouraged by the unusually rich slate of female contenders and characters reflected in Oscar’s Best Actress and Best Supporting Actress pool this time around. With the exception of Lupita Nyong’o’s period specific character in 12 Years a Slave, the predominant Oscar-nominated roles examine contemporary lives and challenges that women on all levels of social strata can commiserate with and relate to. How refreshing to find no Queen Elizabeths, larger-than-life political figures or romantic literary heroines in the mix … or Avatars for that matter. Judi Dench, as Philomena Lee, grapples with the tragic loss of her son, faith and forgiveness in PHILOMENA. The Weinstein Company. While that’s a step in the right direction (more meaty, non-costume-driven roles for women! ), one could question the sober prevailing theme that seems to drive the characters played by Best Actress nominees Cate Blanchett (Blue Jasmine), Judi Dench (Philomena), Meryl Streep (August: Osage County), Sandra Bullock (Gravity) and Amy Adams (American Hustle), and Best Supporting Actress nominees Julia Roberts (August: Osage County), June Squibb (Nebraska), Sally Hawkins (Blue Jasmine), Lupita Nyong’o (12 Years a Slave) and Jennifer Lawrence (American Hustle). Whether their challenges relate to their significant others –a child, husband, father, boyfriend–or their social standing, religious beliefs, finances, emotional stability or physical survival, their characters all have to grapple with loss of some kind. How they come to terms with that loss and manage to transcend it … or not … gives these women and the actresses who play them a platform from which to explore and mine a rich fund of material for further discussion by women’s groups in schools, universities and religious settings, as well as film acting classes. Cate Blanchett’s brilliant performance as an emotionally fragile socialite brought down by her philandering, corrupt husband in BLUE JASMINE should be required viewing in film acting classes for years to come. Sony Pictures Classics. My Oscar picks for 2013 Best Actress and Supporting Actress notwithstanding (Cate Blanchett and Jennifer Lawrence, respectively), I encourage you to kickstart “Oscar Sunday” by catching Mo Rocca’s interview with legendary Oscar winner Eva Marie Saint on CBS News Sunday Morning tomorrow morning (March 2) at 9:00 a.m. ET. Currently appearing in Winter’s Tale opposite Collin Farrell, Ms. Saint received her Best Supporting Actress Academy Award in 1955 for On the Waterfront. 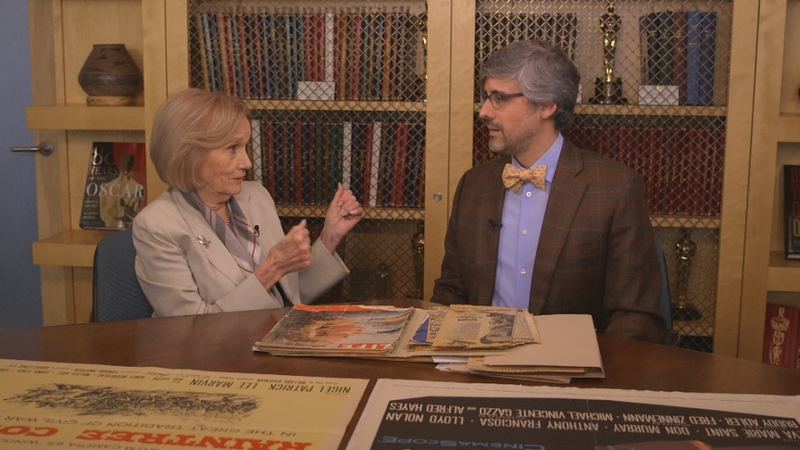 Legendary Oscar winner Eva Maria Saint refreshes TV commentator Mo Rocca’s memory on CBS NEWS SUNDAY MORNING. Still radiant at 89, Ms. Saint shares memories of her happy 62-year marriage, the compromises she had to make to juggle child rearing with building a successful movie career, and her reflections on notable leading men and the Oscars, then and now. Don’t miss it! 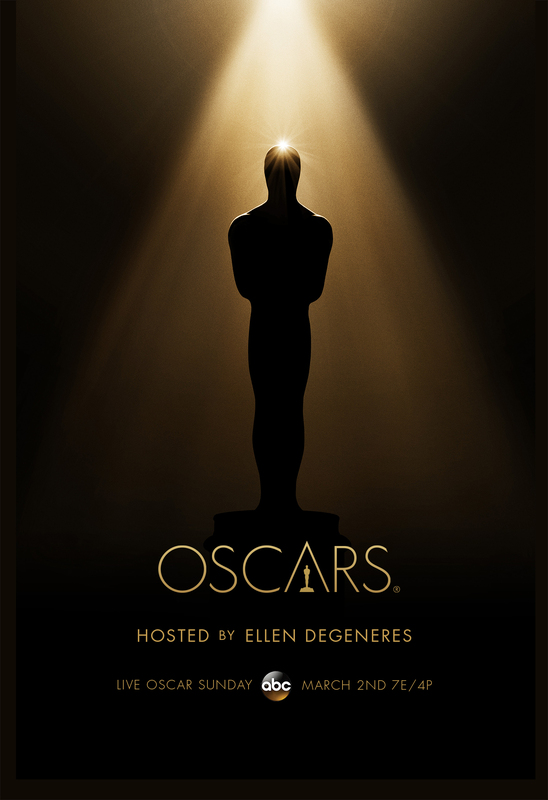 This entry was posted in Film, TV and tagged Academy Award Nominee, Academy of Motion Picture Arts and Sciences, Best Actress Nominees, Best Supporting Actress Nominees, Blue Jasmine, Cate Blanchett, CBS News Sunday Morning, Eva Marie Saint, Jennifer Lawrence, Judi Dench, Lupita Nyong'o, Philomena, Philomena Lee, Women on Film, Women's Issues. Bookmark the permalink.